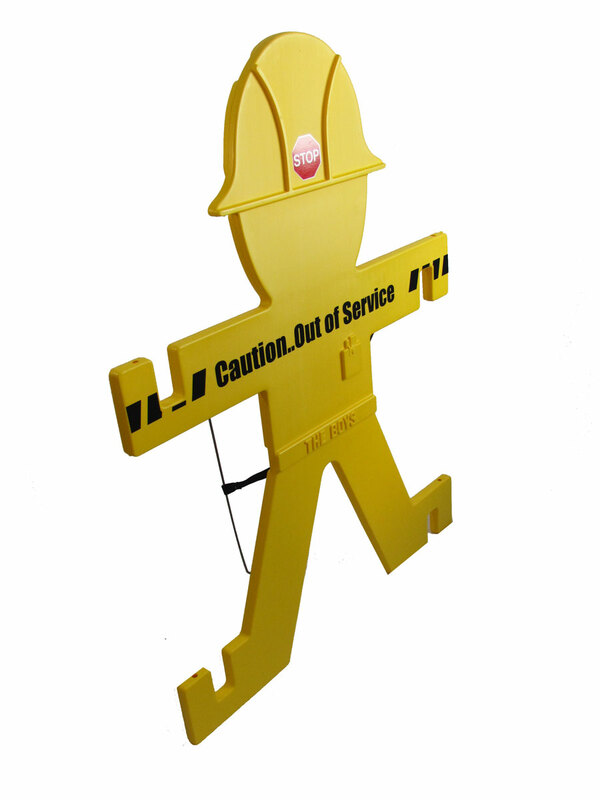 “The Boys” temporary solid wall maintenance barricades block and stop, unlike floor wash signs, cones, etc. 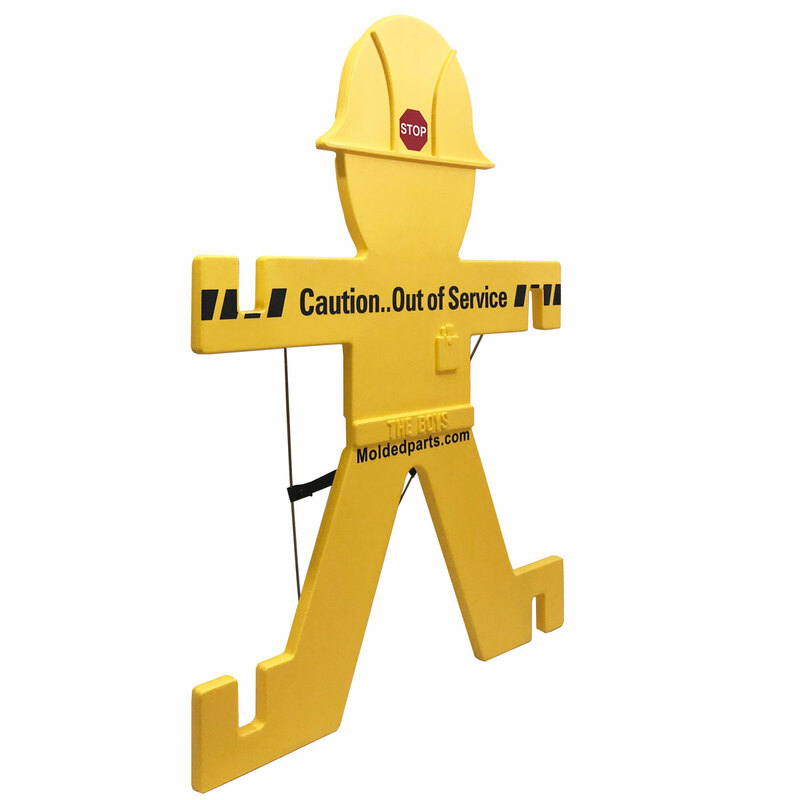 Standing 41″ high and as long as you require. 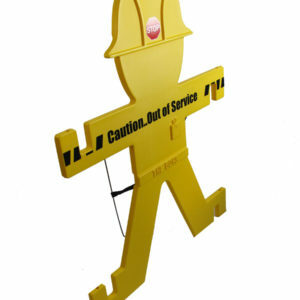 “The Boys” stir the imagination, brings a smile to the face while the direct pedestrians away from the areas of danger. 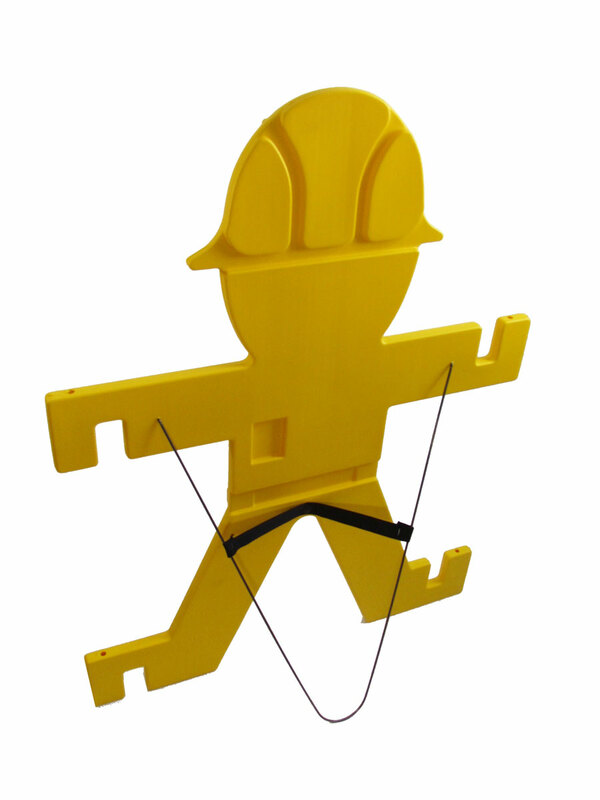 Using a humanistic design, they draw immediate attention and help ease the frustration felt by pedestrians when their planned route is interrupted. The unique design will not detract from aesthetics of the facility and presents a clean professional look. 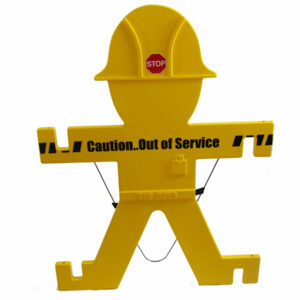 “The Boys” are now being used to alert people of hazardous situations with maximum visibility. 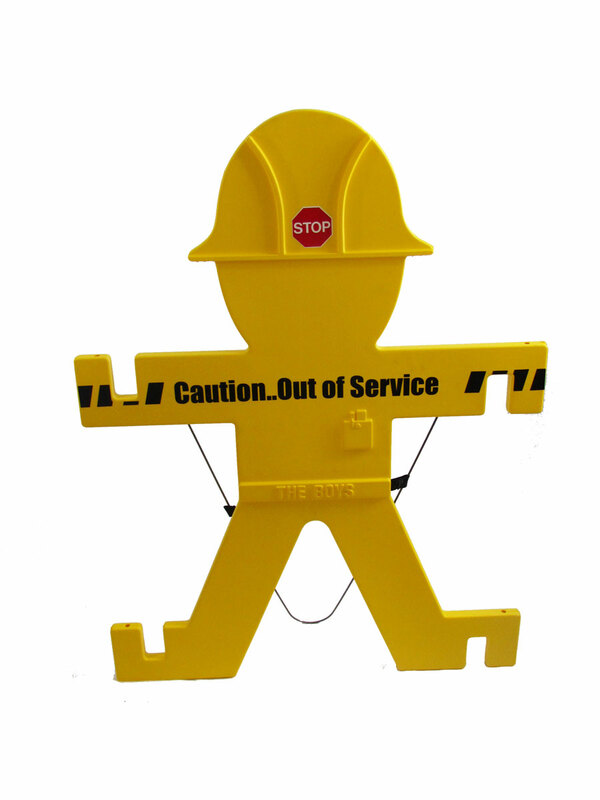 This individual free standing “Boy” warns: Caution … Out Of Service. 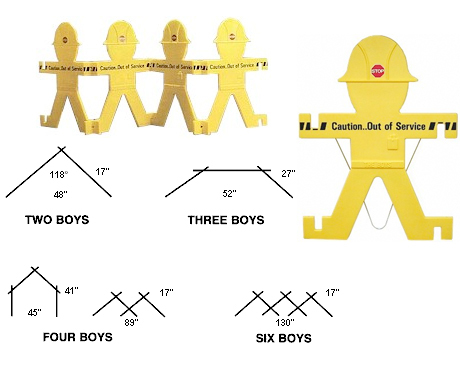 “The Boys” give you 1271 square inches of visible warning, 80% larger than the standard tent sign, being 31” wide by 41” high. 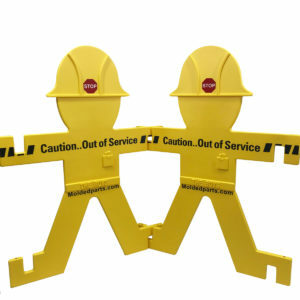 If you need “The Boys” as a solid wall temporary maintenance barricade, just join them at the hands, as the wire stand on the back will not interfere. Two maintenance uses within one product.